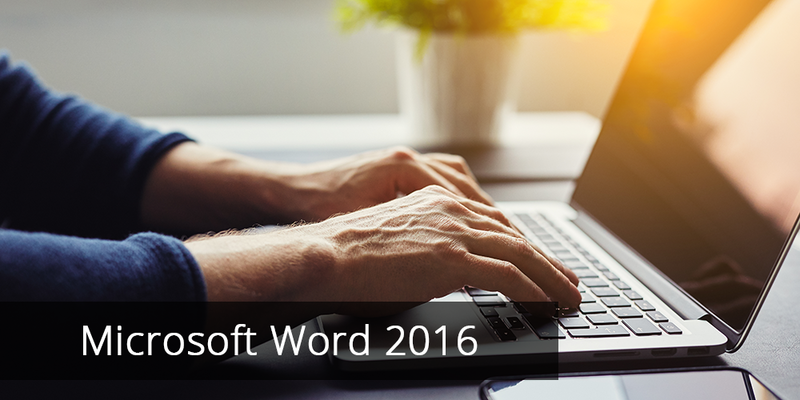 Zip contains 50 banners in 3 sizes, representing Word 2019, Excel 2019, PowerPoint 2019, Access 2019, and Project 2019. Use this image to promote Microsoft Office 2019 courses on Facebook. Download this email template to help promote your Microsoft Office 2019 courses. Some technical know-how will be needed, as you’ll want to update the company name, images, and links through an html editor. In addition, an email service provider is required to send html emails. Use these articles on your institution’s blogs to promote the new Microsoft Office 2019 courses. This document includes comments recommending strategic links to drive interested traffic directly to your relevant course pages. 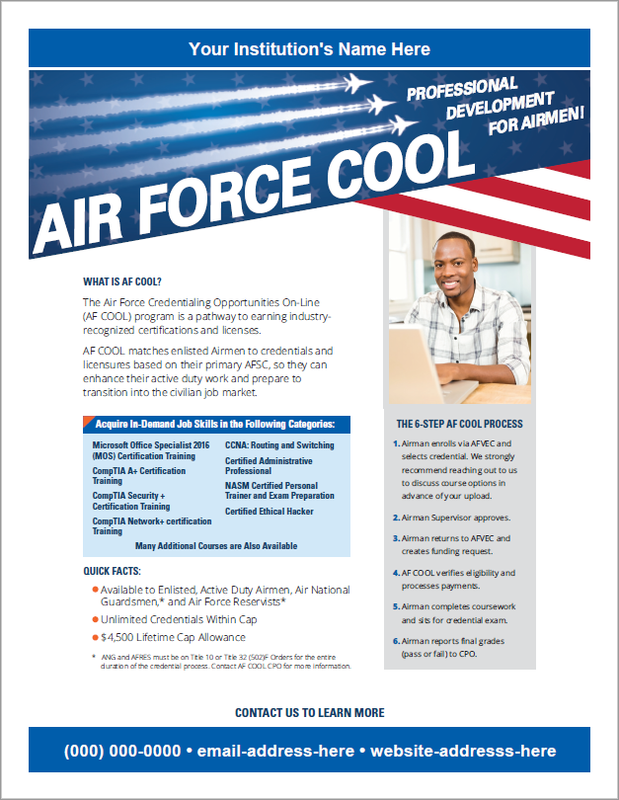 These flyers/ads focus on increasing awareness of Air Force COOL funding opportunities.